Russian company Gazprom and the Azerbaijani state oil company SOCAR discussed the issues concerning gas supplies to Azerbaijan. These issues were discussed during the meeting between Chairman of the Board of Gazprom Alexey Miller and SOCAR President Rovnag Abdullayev, the Russian company said on Oct. 12. "Gazprom has supplied 1.15 billion cubic meters of gas to Azerbaijan since November 22, 2017 when gas exports to the country were resumed,” the company said. “The sides discussed cooperation prospects in this direction." SOCAR is the Azerbaijani biggest state oil and gas company. The company's activity includes exploration, production, processing, transportation and sale of oil, natural gas and gas condensate. 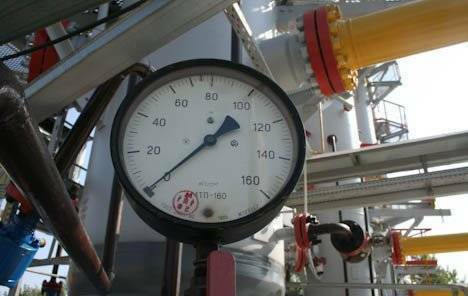 In October 2009, Gazprom Export LLC and SOCAR signed a medium-term contract to supply gas from Azerbaijan in 2010-2015 through the Shirvanovka point at the Russian-Azerbaijani border. During the period, 5.4 billion cubic meters of Azerbaijani gas were bought. In 2015, a subsidiary of Gazprom Export LLC, Gazprom Schweiz AG, supplied gas to Azerbaijan Methanol Company (AzMeCo). Under the contract, 107.4 billion cubic meters of gas were supplied. Gazprom Export LLC and SOCAR signed a contract on gas supply to Azerbaijan on Nov. 21, 2017.